1. 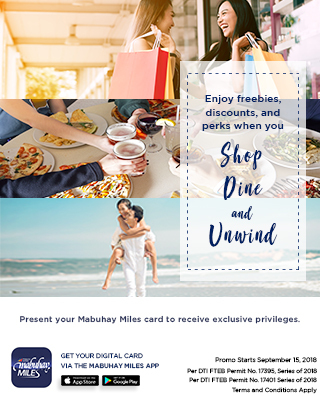 Customers must present their Mabuhay Miles membership card (Physical or Digital Version, Mabuhay Miles Travel Card, PNB Mabuhay Miles Credit Card), together with a valid ID to avail of a minimum 10% Discount on items at participating The Athlete’s Foot branches. 6. Offer is not applicable to special releases items, New Balance apparel, accessories and footwear made in USA and UK and Quickstrike items of The Athlete’s Foot.